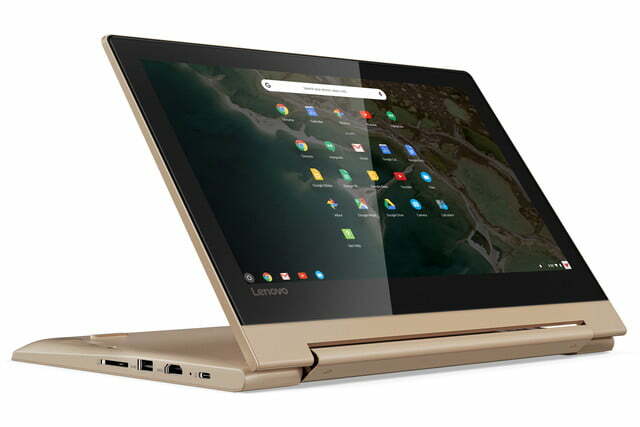 Lenovo has jumped ahead of Google’s long-rumored second-generation Pixelbook with a fancy new Chromebook of its own that comes packing a 4K screen and an eighth-generation Intel Core processor. What’s even more impressive is that it keeps the price tag much more reasonable than Google’s earlier Pixelbook release. The price is just $600 for the new 2-in-1. 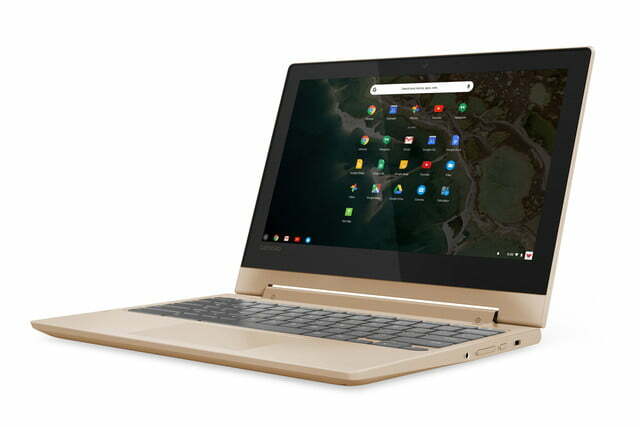 Debuted at the IFA 2018 show, the Yoga Chromebook is a 15-inch 2-in-1 Chromebook with a 4K “near-edgeless” touchscreen display. There is an option for a 1080p screen at the same size, with both using IPS panels for great color reproduction and viewing angles. Both screens can fold to any configuration through its 360-degree hinge, making it a true convertible 2-in-1 for both tablet and laptop use. 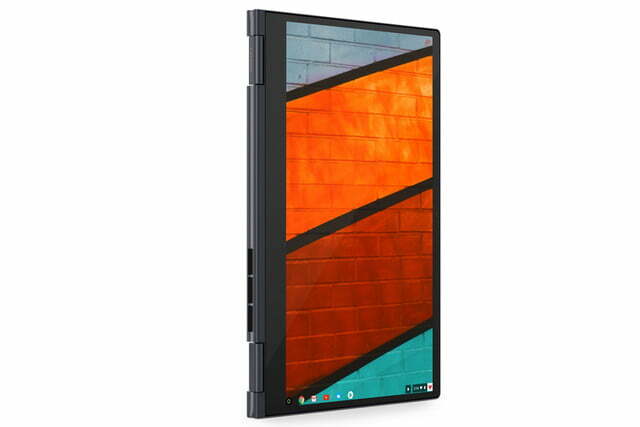 It’s not the lightest 2-in-1 in the world, with an overall weight of 4.2 pounds. It doesn’t have a detachable keyboard like the Surface Book 2 either, so don’t expect this to be the easiest tablet to hold in one hand for long periods of time. It is, however, portable enough to stay far from a power socket for up to 10 hours, thanks to its on-board 56 watt-hour battery life. 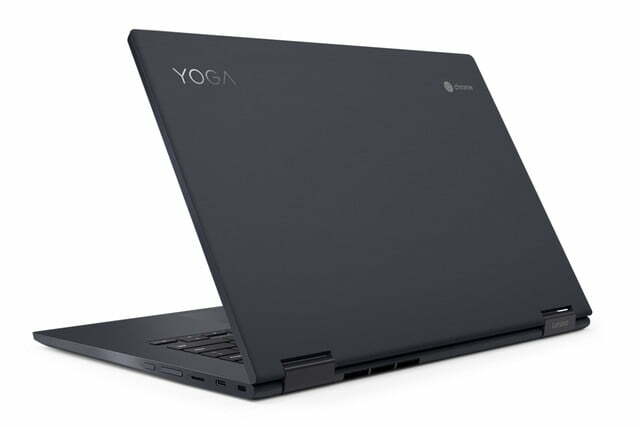 Under the hood, the Yoga Chromebook sports an eighth-generation Intel Core i5-8250U Kaby Lake R processor, featuring four cores and eight-threads (thanks to hyperthreading). It’s paired up with 8GB of DDR4 memory and 64GB or 128 GB of eMMC flash storage. 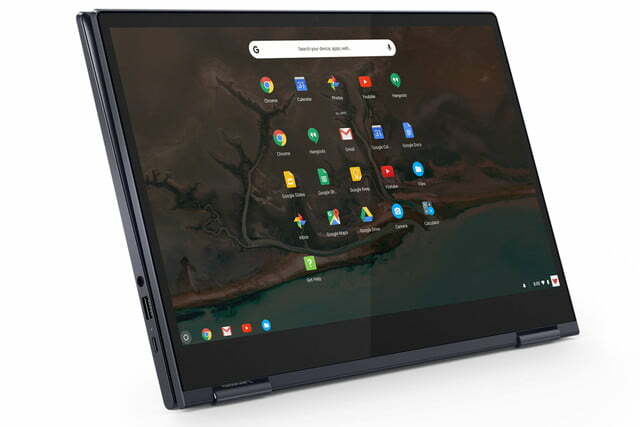 That combination of hardware should offer solid performance, especially when combined with the lightweight operating system that is Chrome OS. 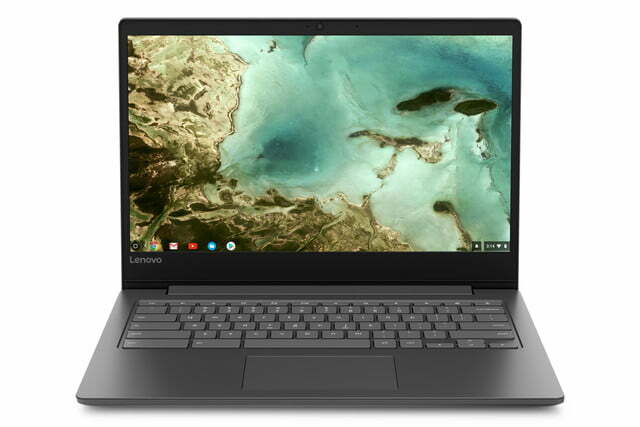 In terms of graphics, this Chromebook will be about as capable as its contemporaries, thanks to the on-board Intel HD 620 graphics core. Gaming isn’t exactly a forte of Chrome OS, but at least with its expanded support of Android apps, there are some games available for those who want to do a little more than web browsing, email, and watching Netflix. 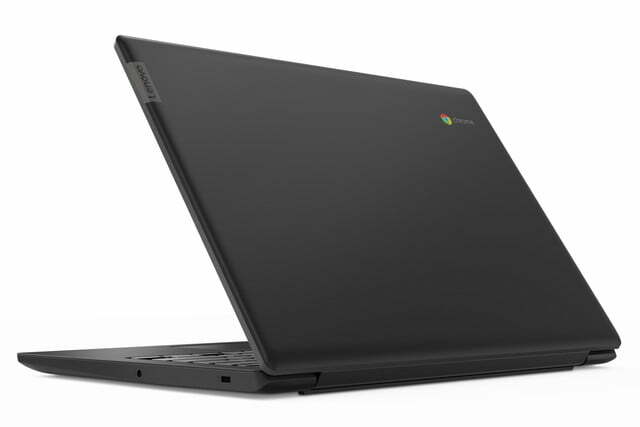 The Yoga Chromebook is set to go on sale this October, with a starting price of $600. Prospective buyers will need to pay extra for the 4K display or extra storage space, though exact pricing for those upgrades has yet to be revealed. 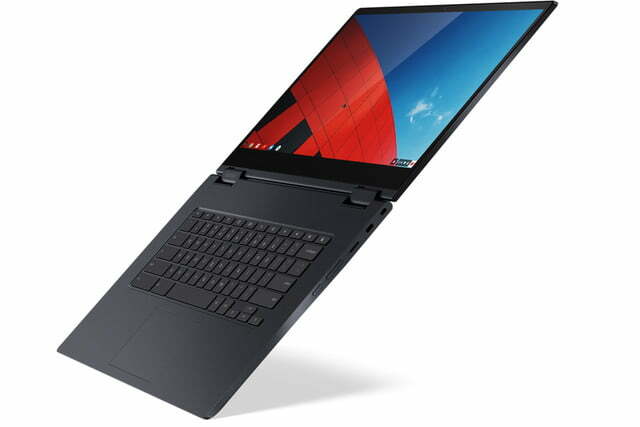 It’s not the only Chromebook that Lenovo unveiled at this year’s IFA show. 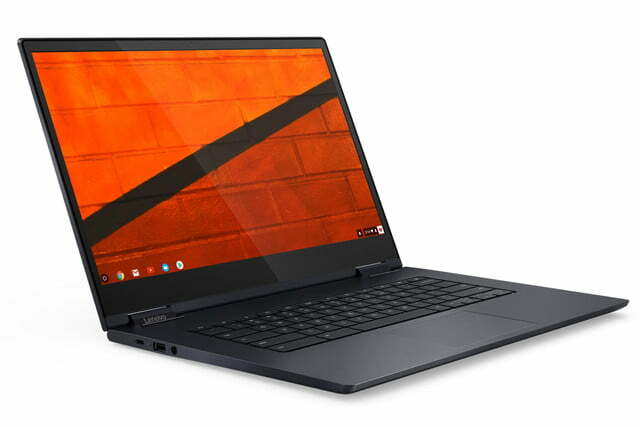 The Lenovo C330 Chromebook is a much more mainstream offering. 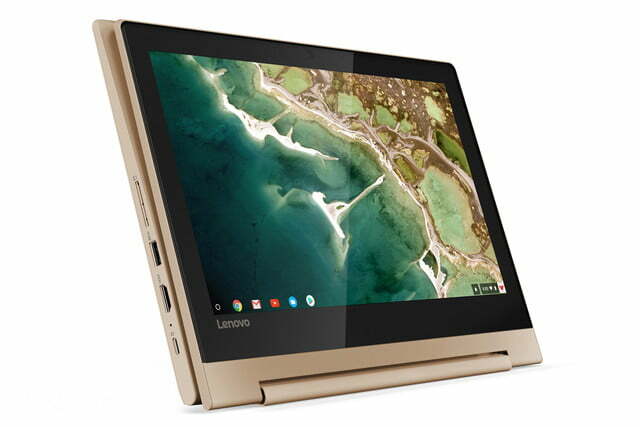 It has an 11-inch form factor and offers affordable Chrome OS computing in a compact package. It weighs just 2.6 pounds and is less than an inch thick at its widest point. 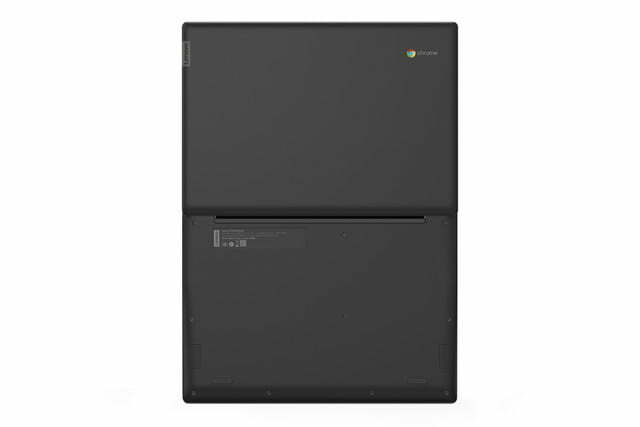 Its internal hardware is a lot less extravagant than the Yoga Chromebook, but its ARM processor, 4GB of memory, and a choice of 32 or 64GB of storage space should give it plenty of resources for running a number of Chrome OS and Android applications. It also supports USB-C for fast transfers and charging and has a battery life that should stretch to 10 hours if used for lightweight tasks. The S330 Chromebook is an even more affordable offering — starting at $250 — but it’s much larger too. The 14-inch clamshell design is only a little thicker and heavier, but features a full-HD display and narrow bezels for a seamless look. 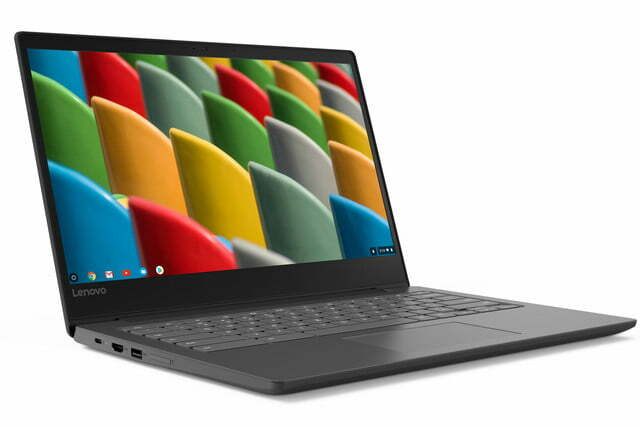 It features the same MTK8173C Arm processor as the 11-inch Chromebook, as well as 4GB of RAM and up to 64GB of on-board flash storage. Its battery should also last 10 hours, though due to the larger, higher-resolution display, you may need to be a bit smarter about your usage to hit that sort of longevity. 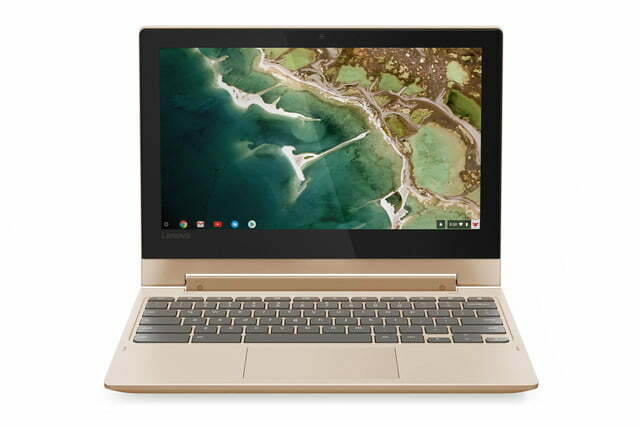 The Chromebooks are set to go on sale in October. If you want to order something now, these are the best Chromebooks you can buy.